CBS' claim that the Battle of the Block is a "fan favorite" twist is totally bogus. It's obvious (even to me) that they needed a competition for the Sunday broadcast which casual viewers would find more worthwhile than what they previously aired at that time -- the weekly food-oriented "Have/Have-Not" competition. If the producers wanted a comp whose outcome had the potential to affect the game, then their intent for the Battle of the Block (BoB) was quite reasonable. Unfortunately, their implementation has fallen flat. Introduced along with dual (rather than solo) Heads of Household during #BB16, the BoB pits each pair of nominees against each other; the winning pair comes off the block, and the HOH who nominated them is dethroned and eligible for eviction. If CBS had hoped that the dual HOHs, four nominees, and BoB would create additional chaos and thus spicier, more entertaining footage for the TV show, little of that has actually happened. It's not strictly a BoB problem. Rather, the problem is with the dual HOHs. During #BB16 and so far in #BB17, after two house guests win the HOH comp, they've mostly chosen to work together to select four eviction nominees -- either three pawns and one real target or sometimes four pawns with a plan to attempt to backdoor their real target (e.g. Jace, this season's first evictee). Fixing this would be quite easy: From the moment the HOH competition concludes, HOH #1 and HOH #2 should be sequestered. No direct contact with each other whatsoever! In fact, there should be as much physical separation as possible. For example, put HOH #1 in the HOH room and put HOH #2 in the hammock room (or maybe you can think of something better). And they need to remain sequestered until everybody meets for the nomination ceremony. "But they'll just send messages through other house guests to the other HOH," you might say. Yes, of course they will ... but this gives new power to everybody, doesn't it? Messengers will mix up the messages en route, either unintentionally or on purpose! This would lead to more chaos and more entertainment for all of us -- which is what the producers' goal really should be. I mentioned this idea to BigBrotherGossip's Mike at lunch yesterday (you might remember that we work for the same company and have lunch frequently) ... and Mike wondered how sequestering the dual HOHs would affect nominations. If they can't talk, what if they want to nominate the same people? Add a new twist in which the quantity of nominees might vary each week (could be two, three, or four). If there are only two or three unique nominees, additional house guests could be selected for the BoB -- and if they lose, they go on the block. Or, have each HOH select their top four potential nominees in order of preference. This would guarantee four people would go on the block -- just not necessarily each HOH's top picks. As the season progresses and there are fewer house guests, the potential for collateral damage (unintentionally hurting a friend) gets higher. There would be some other broadcast logistics to be worked out. 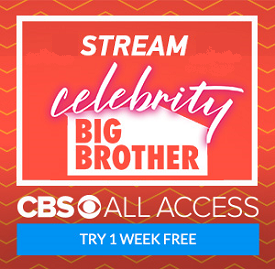 For example, if the HOHs are sequestered, CBS might (finally!) have to dump its stupid "who wants to see my HOH room" segment -- I wholly agree with Scott that it's an insipid time-waster. On the other hand, there'd be more air time for juicy conversations as house guests run to opposite ends of the house to plea for their lives and/or to intentionally misdirect the sequestered HOHs. Changes like these might redeem both the dual HOH twist and the Battle of the Block. Anything which leads to more chaos, more competing alliances, and fewer unanimous eviction votes would be better for everybody. Oh, and don't get me started on the "Haves/Have-Nots" thing, which is thoroughly meaningless and should be dropped. Regarding the BoB and dual HOHs, have I missed anything? Do you agree that this needs fixing? Got any better ideas on how to do it? Comment below or hit me up at @uselesstraffic. Or to make it simplier -- amp the risk to the HOH's and stop the habit of putting up pawns -- the losing HOH is on the block. Linda -- Yes, I'd be game for that! Here's a suggestion from @TitaniumX3 -- at least I think this is what she means: When the nomination ceremony is held, nominees are announced but nobody is told which HOH nominated them -- that information must be kept secret. When the BoB comp is held, it adds extra mystery and makes strategizing more difficult. If you were going to throw the competition, how do you know it wouldn't inadvertently affect the wrong HOH? I really like this idea. I like this idea too. When you don't know if you're the pawn, you'll fight harder in the comp too! Evan -- I really like the idea of disqualifying the losing HOH from playing in the Veto to provide incentive to nominate strong players. Certain pawns who feel safe might still throw the comp, though, as a way of trying to get the losing HOH on the block that same week. Great thoughts, John. When is the BBG podcast coming back? Thanks, Scott! Not soon enough, but still looking forward! Missed you guys this week!! Hope you had fun in CBus, too!